Mystery author Camille Minichino, who also writes as Margaret Grace, Ada Madison, and Jean Flowers, has been a guest here numerous times, but she’s never sat for an interview. Today that changes. To learn more about Camille/Margaret/Ada/Jean and her books, visit her website and blog. When my first book, Nuclear Waste Management Abstracts was not a best seller. I spent a couple of years transitioning from technical publications to "popular" outlets. I took classes, joined writers groups, went to conferences. Once I began submitting, it took about 6 months and many queries to find a publisher, then an agent. Traditional to start (23 novels, 1 due Spring '17). Lately I'm also Indie publishing short stories. In the bleachers in Times Square if possible, otherwise in my suburban California home office. (See above re: Times Square) My childhood bedroom was less than 10 feet from the jukebox in the pizza parlor next door. I commuted to college, doing most of my homework on Boston's MTA. I'm too lonely to write when it's quiet. Roughly, 100%. I'm turning all my careers and hobbies into mystery series: doing physics (the Periodic Table Mysteries); making miniatures (the Miniature Mysteries); teaching math (the Professor Sophie Knowles Mysteries); and even odd jobs, like working in the post office during school holidays (the Postmistress Mysteries). Does it sound like I have no imagination? I often have a particular reason for my characters' names. Gloria is an adored cousin, Gerry a dear friend who died as I was starting the Miniature Mysteries, Sophie after famed 18th century mathematician Sophie Germain, Cassie and Sunni also good friends. For minor characters, I use the SSA website database of names. I learned my lesson when I set my first series in Revere, Massachusetts, my hometown. It was very difficult to keep straight which streets were one way, which buildings still standing, and what the city council protocols were. When a reviewer criticized me for putting a Starbucks in Revere, I decided to create my own towns for future series. Anastasia Brent of the Periodic Table Mysteries is a tap-dancing freelance embalmer. That in itself is quirky. I write about freelance embalmers. Dante's La Commedia, which dominated my life in 4th year Italian. It has everything – the journey from hell, through purgatory, to paradise – covering religion, politics, crime and punishment, and usually accompanied by astounding art. Always the hardest question. Probably: leave home sooner. Kids these days When did they become in charge? If I were to be stranded on deserted Manhattan Island, I would need a cab, a master key to all museums, and a large supply of black-and-whites. Working in a small factory (hmm, another series?) while I was in transition from a convent to "the world". The highlight of every day was the food truck, back when food trucks weren't cool. Another hard choice. Do I go back to Little Women, the first book that made me cry? Or more grown-up choices like Never Let Me Go by Kazuo Ishiguro, a story that has the best elements of mystery, romance, and science fiction. For shear story power, I'll take Mystic River. For a cop, Martin Cruz Smith's Arkady Renko. I know I'm cheating on this question. Skyscrapers. Lots of them together, with museums in-between. I think it's called Gotham. The city, or why bother? You'll have to ask my agent. When I switched from science to writing, I thought I'd be lonely. Science is a team endeavor – no one works on a 128-beam laser alone. 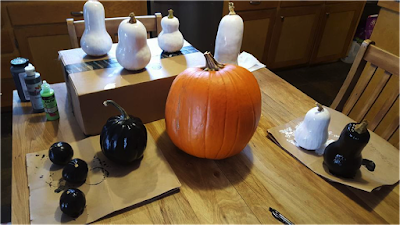 But it turned out that writing is also a team endeavor, impossible without a writing community that includes agents and editors, critique groups, conferences, and the many organizations like Mystery Writers of America and Sisters in Crime, that bring us together. A nice surprise. A longtime journalist, Kay Harwell Fernandez is a freelance travel writer who has visited 56 countries--and counting. She has been published in international, national and regional magazines, newspapers and webzines. She has written two travel-related e-books and contributed to five National Geographic books. She's also working on a cozy mystery and historical suspense. Learn more about Kay here. Saint Augustine says it all, "The world is a book, and those who do not travel read only a page." I'm a firm believer that travel broadens your horizons. I realize how fortunate I am to have been traveling overseas for three decades--both as a consumer and as a travel writer. When I turned 50, I backpacked alone in seven countries. Did that experience broaden my horizons? Absolutely. Although my backpacking days are long gone, I still yearn to travel, especially to Europe. As I have gotten older, I have had to adjust to traveling differently. Alas, the physical limitations can't be ignored. I prefer to call it my "new normal." 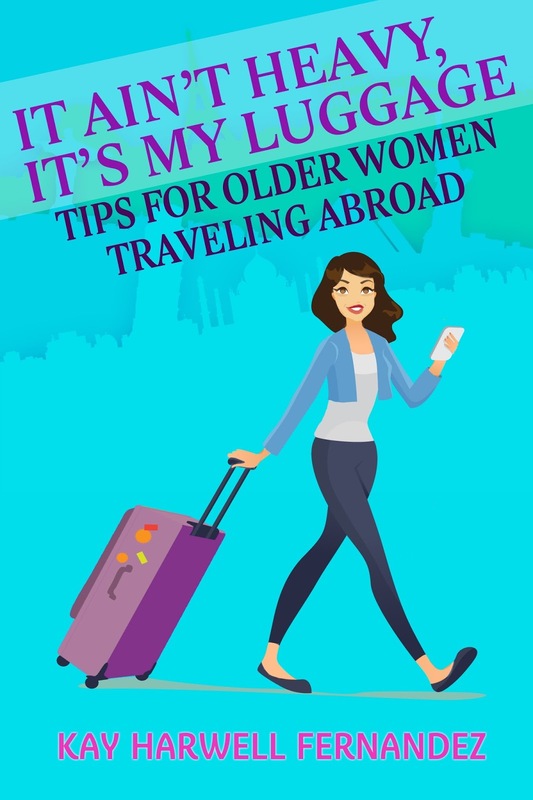 I wanted to share some of my travel tips and suggestions, while encouraging women of a certain age to travel abroad. That's why my e-book came about. Sometimes travel books tend to be dry--informative, but dry. My aim was to add a bit of lightheartedness and humor, starting with the title It Ain't Heavy, It's My Luggage: Tips for Older Women Traveling Abroad. Using a conversational style, the book is geared toward, but not limited to, women in their 60s, 70s and beyond, traveling overseas either solo or with female friends or relatives. I have traveled with my older sisters, friends and by myself. Each trip was distinctive and special. No, this isn't meant to discount our spouses or significant others. In this particular case, however, the focus is on women and cheering them on. Chapters include Heartbreak Hotel--Glitches and quirks with your accommodations; Big Girls Don't Cry--Expect the unexpected; The Cane Mutiny--Adjusting to your limitations; Over the Lips and Under the Gums, Look Out Stomach Here It Comes--How to keep potential tummy problems at bay; and Dancing in the Street--Finding your inner child. Inching toward her mid-70s, a colleague recently went scuba diving on a solo trek to Indonesia. A 63-year-old friend is about to go on an African safari. My sister's close friend in her mid-60s has post-polio syndrome and must use a mobility scooter. Earlier this year, she took her granddaughter to Italy. Admiration runs deep for these three women and the hundreds of others who jump out of their armchair traveler status. To borrow from Dr. Seuss, oh, the places you'll go! Invariably, folks ask me what my "favorite" destination is. Paris. Always Paris. 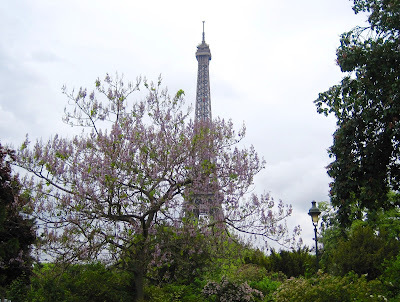 And now a work-in-progress is a historical suspense set in Paris. 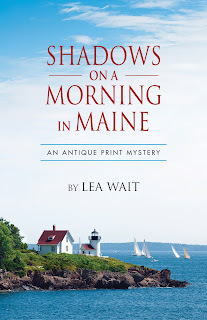 We’re always happy to have return visit from author Lea Wait, here today to talk about her newest Antique Print Mystery and one of her biggest frustrations. 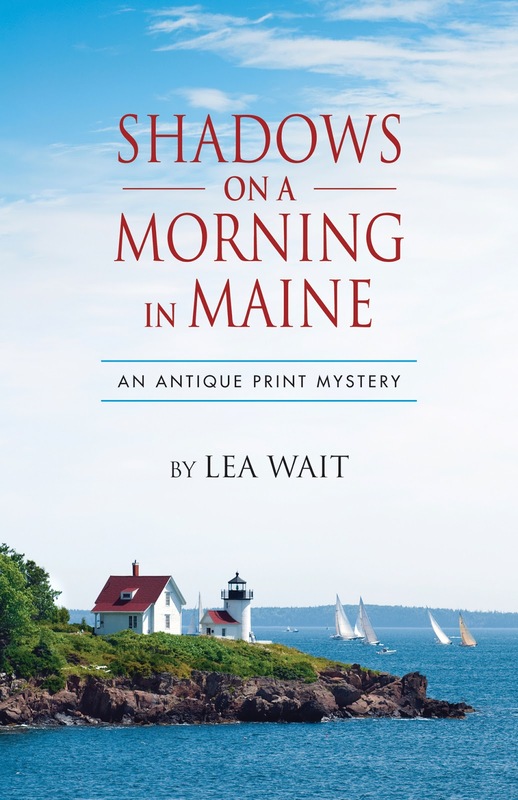 Learn more about Lea and her books at her website where you can also find a link to a prequel of Shadows on a Morning in Maine. When I was writing my first book – a mystery rejected by forty of the best agents around – I would have said repeated rejections were the major frustration. When my first book (Stopping to Home) was accepted by a major publisher (yippee!) I was frustrated that it got fantastic reviews but didn’t sell more copies, let alone (yes, I was fantasizing) win any awards. By the time that first mystery (Shadows at the Fair) was published, despite positive NY Times reviews, I was frustrated by conflicts between writing two books a year (they want my books!) and caring for my mother 24/7. (She repeatedly told me I should “stop playing with that computer” and start doing whatever it was that she needed or wanted me to do.) A no-win situation. After she died, I had more time – wonderful! I married the guy I’d loved for more years than anyone can believe. Life was perfect. But my publisher wanted me to do more appearances, in more places. That took time – and money. (No – publishers don’t pay for travel or promotional items or conference expenses for most authors.) I went into debt promoting my books, which were doing fine, but not “breaking out.” An investment in the future,” I told myself. And, after all, Simon & Schuster was publishing two of my books a year. I was really an author! And then within a few months it all ended. 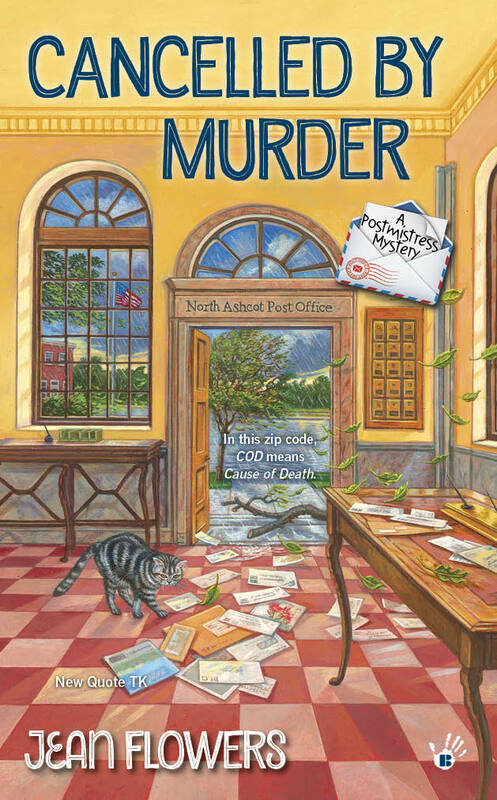 My mystery editor retired, and my series was discontinued. Historical novels for children went out of fashion. I was beyond frustration. And, yes, tears were involved. No one wanted to continue my mystery series, so my agent suggested I write an historical mystery. I wrote two more historical novels for children (I’m stubborn) that were rejected. So was my contemporary mystery for ages 8-12. And the nonfiction book I wrote for teachers. I changed agents. More than once. It didn’t make a difference. Yes, I’d had eight books published in under six years. But then – for another six years – nothing. Frustration? Oh, yes. And – an important side effect of frustration: publishers may not know this, but authors are addicted to housing and food, too. I was in debt (that book touring and promotion that was supposed to pay off) and, to top it off, the market crashed. I looked for a day job but couldn’t find one. And then … gradually … the clouds began to part. A small publisher on the west coast decided to pick up my Shadows series. The fourth book in the series (Shadows at the Spring Show) was published in 2005. The fifth, (Shadows of a Down East Summer) in 2011. I was being paid a tiny fraction of what I’d previously earned, but somehow my readers found me. Hurrah! The eighth in that series, Shadows on a Morning in Maine, was just published. A small Maine publisher decided to take a chance on Uncertain Glory, one of my historical novels for children. It was published in 2014. And through a writer friend who knew an agent (not mine) who knew an editor, I was offered a contract for a new mystery series. Much less money than my first series but more than the small press. The fourth in my USA Today bestselling Mainely Needlepoint series (Dangling by a Thread) will be published in November. It will be my eighteenth published book. I’m working with a credit consolidation firm. I’m doing few appearances out of my home state. My husband and I don’t eat out often, don’t travel, and keep the temperature in our home down in winter. It will take another four or five years, I estimate, to work our way out of debt. But my (new) agent is excited about a project I’m working on. I’m hoping my Mainely Needlepoint contract will be renewed. I do a lot of library and craft show gigs, to let people know about my books. I think -- I hope -- there’s light at the end of the tunnel. But now I’m a realist. I know how rewarding being an author can be. But also how frustrating. 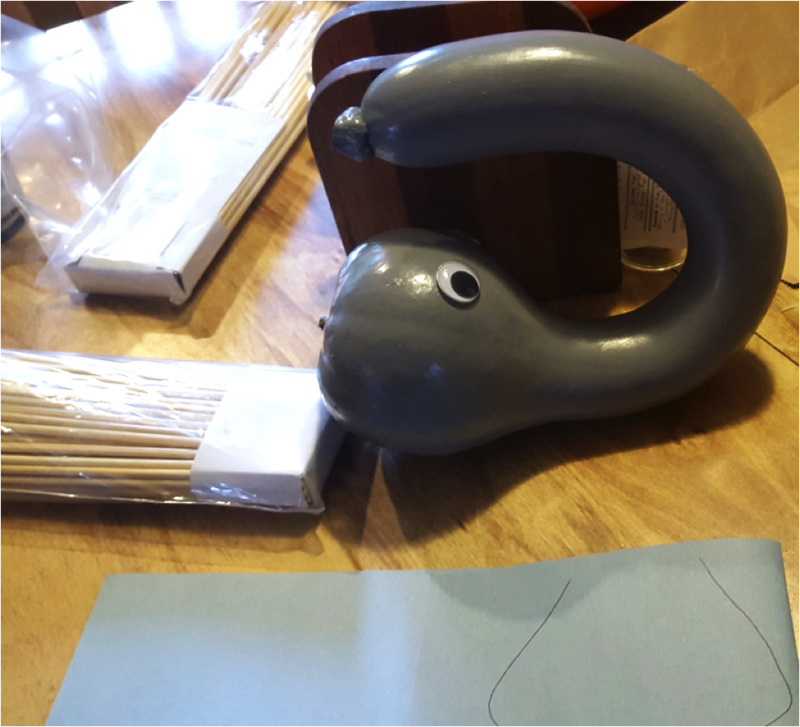 And – by the way – my wonderful supportive husband understands, because he’s an artist. Don’t get me started about the frustrations of that job! Antique print dealer Maggie Summer's making big changes in her life. She's taken a sabbatical from her college teaching job and moved to the coast of Maine to run an antique mall with Will Brewer, her significant other, and is finally hoping to adopt the daughter she's been hoping for. However, the troubled girl referred to her doesn't want any part of the plan, showing affection only for harbor seals, which remind her of her "real mother." Maggie's distraught when someone starts shooting the seals -- and the a young fisherman is murdered. When Will then confesses a secret from his past, she begins to wonder if moving to Maine is the biggest mistake of her life. 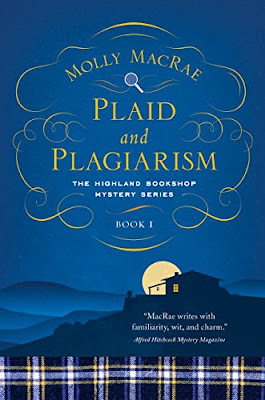 Mystery author Molly MacRae, author of the award-winning Haunted Yarn Shop Mysteries, is debuting a new series--the Highland Bookshop Mysteries. Plaid and Plagiarism, the first book in the series is now available for pre-order and will be released the end of November. Learn more about Molly and her books at her website. 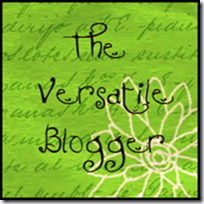 She also blogs at Killer Characters and Amy Alessio's blog. I’ve been cooking for my family and cooking up stories for a long time. These days I do both fairly well, but the chops haven’t always been there (pun intended, although these days, chops are never there because I’ve been cooking vegetarian for about a dozen years). My first bake set, which I received before I could read, came with a child-size rolling pin, little pie and cake tins and cookie sheets, and small boxes with mixes for making tiny desserts (that didn’t go far in a family of eight). This was pre-Easy Bake Oven days. My cakes, cookies, and pies were baked in miniature splendor in the middle of my mother’s grown-up oven. When I learned to read and was given my first cookbook, I thought I had it made. Except, when I decided to make sugar cookies for a brother’s birthday, I discovered we had the wrong kind of flour in the house. The cookbook called for Gold Medal and we had Pillsbury. My college-age sister came to the rescue, explaining what brand names are. Applying that knowledge, when the recipe called for confectioner’s sugar, I proudly guessed that was another brand name and I could use granulated sugar. The resulting cookies were awful little lumps, and discouraging, but not for long. I went right back to my mixing bowl. And burned the next batch. “Awful little lumps” might describe my early attempts at stories, too, and some of them probably should have been burned. But we learn by doing, don’t we? And by having relatives and friends who gamely taste what we’ve baked, and who try to swallow the preposterous stories we concoct. The good thing is that through all my experiments, I’ve only killed people in my stories and no one at all with my cooking. But now, for the first time, my main characters don’t just visit their favorite establishment; they run it. In my new Highland Bookshop Mysteries, the titular bookshop has an adjoining teashop and a B&B upstairs. This arrangement is giving me a chance to think about and tinker with recipes for scones and shortbread and the like. How’s that working out? So far, yum! 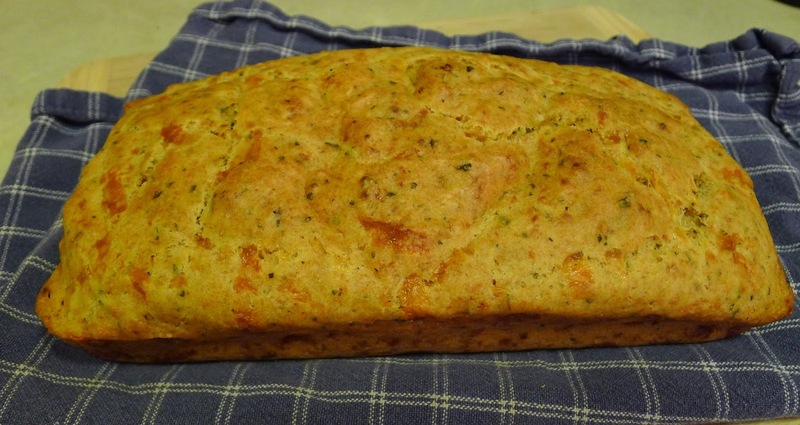 Here’s a recipe for Spicy Herb Cheese Bread for you to try. If you do, let me know what you think. Preheat an oven to 400 degrees F (200 degrees C). Lightly grease a 9x5 inch loaf pan and set aside. Mix flour, baking powder, salt, cayenne pepper, garlic powder, onion powder, Italian seasoning, and Cheddar cheese together in a large bowl. Whisk in half-and-half cream, milk, and vegetable just until blended. Pour batter into the prepared pan. Bake in the preheated oven until a toothpick inserted into the center comes out clean, 35 to 40 minutes. Cool in the pans for 10 minutes before removing to cool completely on a wire rack. First, Janet Marsh is told she’ll have to wait before moving into her new home. Then she finds out the house has been vandalized. Again. The chief suspect? Una Graham, an advice columnist for the local paper—who’s trying to make a name for herself as an investigative reporter. When Janet and her business partners go looking for clues at the house, they find a body—it’s Una, in the garden shed, with a sickle in her neck. Janet never did like that garden shed. Who wanted Una dead? After discovering a cache of nasty letters, Janet and her friends are beginning to wonder who didn’t, including Janet’s ex-husband. Surrounded by a cast of characters with whom readers will fall in love, the new owners of Yon Bonnie Books set out to solve Una’s murder so they can get back to business. A delightful and deadly new novel about recognizing one’s strengths and weakness—while also trying to open a new book shop—Plaid and Plagiarism is the start of an entertaining new Scottish mystery series. 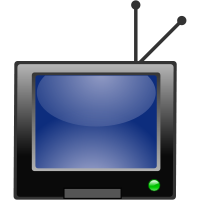 Kimbra Kasch grew up in a family with nine kids and only one TV. 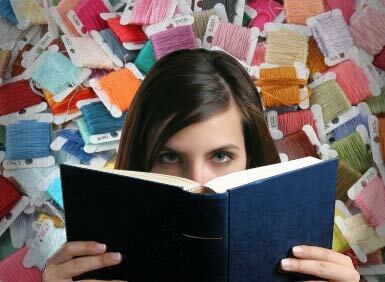 She became a voracious reader, possibly because she never got to pick the shows her family watched. And that led her later on to writing. 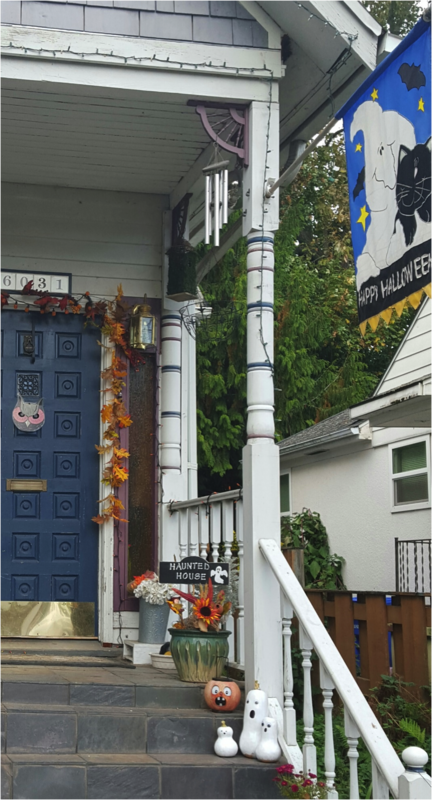 When she’s not doing either, she loves to decorate for Halloween. Learn more about Kimbra at her website and blog. I love creating stories because I love working with characters. With Halloween right around the corner, I thought I’d share a few of the projects around my house at this time of year. 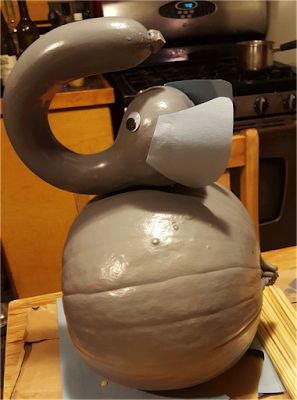 Even though I’m not a talented pumpkin carver, I can think of other ways to decorate colorful and shapely gourds to create fun eye-catching characters. All it takes is a little paint and a few googly eyes. Different shapes or stories help inspire me to create certain characters, like ghosts (top photo). 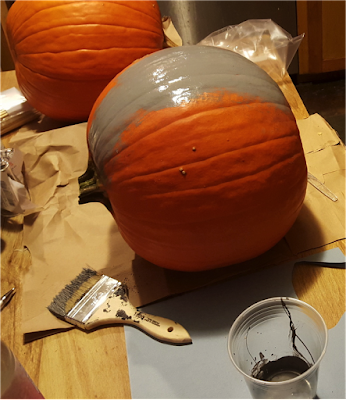 And my Halloween crafting doesn’t stop there. If I find special shapes, I “see” other characters just asking to be created. 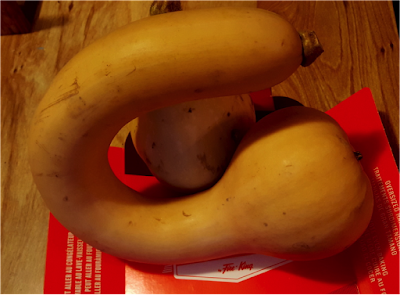 Like when I saw this gourd at the Farmer’s Market, I knew what I had to do. I had to start painting. And using those googly eyes and a little craft paper. 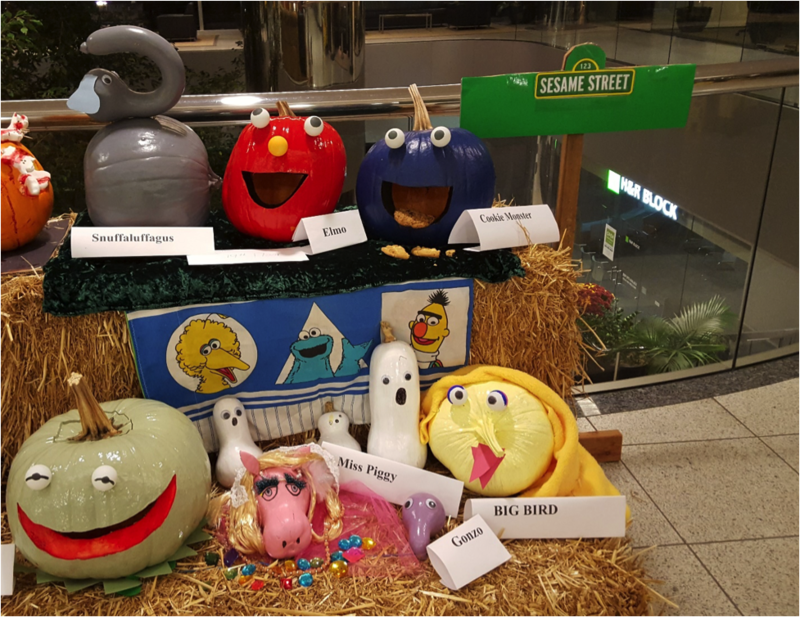 It didn’t take long to create a Snuffleupagus and a few other characters. I just love finding ways to make interesting characters come to life, just like in the stories I write. Morgaine Le Fay and the Viking is the secret Denmark never shares...until now. 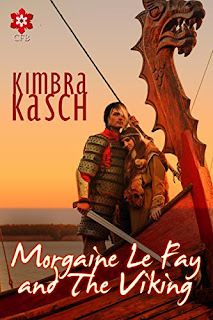 Travel across oceans, continents and countries to discover the story of legendary Viking hero, Holger Danske, and his magical romance with King Arthur’s half-sister in Morgaine Le Fay. USA Today bestselling and award-winning author Lois Winston is Anastasia's creator and sometimes Doppelgänger. Along with writing humorous amateur sleuth mysteries, she writes romance, romantic suspense, chick lit, women’s fiction, children’s chapter books, and nonfiction under her own name and her Emma Carlyle pen name. Learn more about Lois and her books at her website and by following this blog. A few years ago Turner Classic Movies featured all the Thin Man movies, starring William Powell and Myrna Loy as Nick and Nora Charles. I wound up binge watching the series, fascinated by the chemistry between the two main characters. At the same time I was reading a book about George Burns and Gracie Allen, one of Hollywood’s great love stories. In the Thin Man movies, Nora is Nick’s anchor, the common sense partner. With George and Gracie, George played the straight man to Gracie’s ditzy personality. However, in real life Gracie Allen was nothing like the ditzy character she played in the movies and on television. 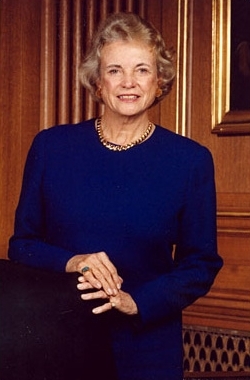 She was actually quite brilliant and an astute businesswoman. Meanwhile, when I wasn’t reading or watching television, I was mulling over ideas for a new mystery series. Mash-ups have been all the rage in music for a few years now, and I began to think about mash-ups in terms of characters. What if I combined the characters of Nora Charles and Gracie Allen? 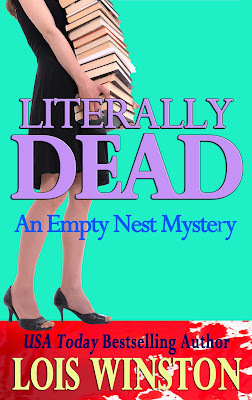 Thus was born Gracie Elliott, the amateur sleuth of my Empty Nest mystery series. The series is a wink and a nod to the characters of Nick and Nora Charles but with a modern day twist: this time the wife is the sleuth and her husband is her sidekick. On the outside Gracie is a bit of a ditz (okay, maybe more than a bit.) But like the real Gracie Allen, she’s actually quite smart. She just sees the world through her own unique, totally right-brained perspective which always makes perfect sense to her, even if it doesn’t to her college professor husband Blake. 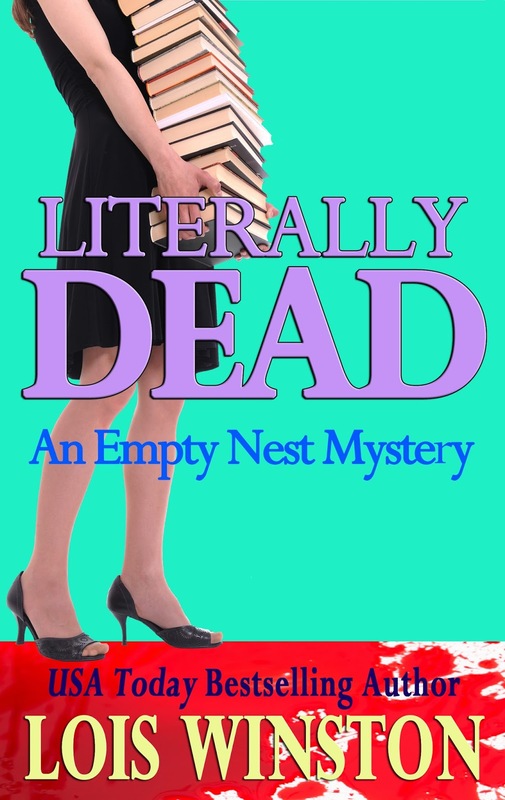 The series is called The Empty Nest Mysteries, and like my Anastasia Pollack Crafting Mysteries, it’s a humorous amateur sleuth series that takes place in a suburb of New York City. As a matter of fact, I’ve placed Gracie and Blake in the same town where Anastasia lives. Who knows? At some point the two amateur sleuths might even cross paths! Gracie is a fledgling romance writer, bound and determined to become a bestselling author. She’s absolutely convinced this will happen relatively soon. In the first book, Definitely Dead, Gracie hadn’t yet completed a manuscript. At the beginning of Literally Dead, the second book in the series and my newest release, Gracie has spent the past year crafting her first novel. Her hard work and determination pay off when her manuscript wins the Cream of the Crop award, a contest for unpublished writers, sponsored by the Society of American Romance Authors. 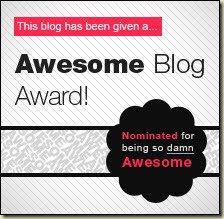 First place entitles her to attend the organization’s annual conference, normally open only to published authors. LiterallyDead is currently available for pre-order at Amazon, iTunes, and Kobo. It will be available as a paperback and through Nook October 1st. 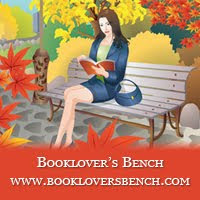 Jan Scarbrough writes heartwarming contemporary romances with a touch of spice. Her favorite topics are families and second chances and if the plot allows, she adds another passion—horses. That’s why she sets her books in the Bluegrass of Kentucky and her second favorite setting, Montana. Learn more about Jan and her books at her website. Cowboy Up! Montana is a perfect place to visit! When my husband and I began to discuss summer vacation, I suggested Montana. I wanted to see the state where I’d set four books with author Maddie James. We have collaborated on a contemporary Western series called The Montana Ranchers. Maddie wrote some of the books, and I wrote others. We worked together on writing the series Prequel. Internet research revealed The Covered Wagon Ranch in Gallatin Gateway, Montana. They offer a non-rider rate, perfect for my husband. So we made reservations for July and planned our trip. OMG! 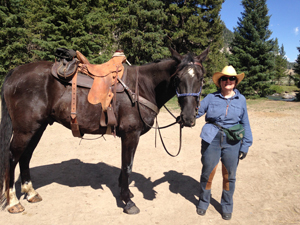 It was fun—two days on horseback riding into the mountains, gourmet meals prepared by a chef and eaten in a rustic dinning room with other friendly “dudes.” The owners, wranglers and staff were just as friendly. We felt like we’d come home. On the trip, I saw firsthand the mountains, canyons, and valleys that make that part of Southwestern Montana so beautiful. Sagebrush is real. And so are lodgepole pine trees and aspens with their silver leaves shimmering in the wind. ~Cowboys hang hats on antlers or posts when they come in for dinner. ~The dude ranch is family-oriented with many returning guests. ~Fishing is a big thing in Montana. ~One wrangler is hired only to break and train young horses. ~Some horses are allowed out at night to graze around the cabins. All of the ranch is fenced in with log fencing. ~Horses are run up to high pasture for two days a week to allow them to graze and be horses. ~Special attention is given to the care of horses so they won’t sour. Horses have a long season. Horses go in the winter to lower pastures. ~Rides are arranged every morning depending upon what guests want to do. ~Sack lunches are provided for daylong rides. ~One female wrangler came from Oklahoma and got the job via the Internet. ~Before a ride, horses are sprayed with fly spray. ~Besides the saddle, a horse carries a saddlebag for water bottles and lunch and a rain slicker. Wranglers put a rope halter on the horses and leave it on. ~Horses are branded with the ranch brand. Home...it's where you go when your past, present, and future collide. When rancher James McKenna is critically injured in a riding accident, his wife calls his daughter and stepson home for a family meeting. Ironically, home is where stepson Brody Caldera wants to be. He’s taking stock of his life—past, present, and future. Can the champion bull rider turn his life around and make up for past mistakes? Single mom Stephanie Chambers hopes to keep her daughter away from the man who deserted them years ago. But the spunky ten-year-old is enamored with the famous cowboy, and Stef’s best intentions are sidetracked from day one. She’s made a life for herself and her daughter, but Brody’s return challenges what Stef knows about herself and that life she’s created. John may have agreed with his wife, but too many other Founding Fathers didn’t consider women equals. Hence, we have a Declaration of Independence that states, “All men are created equal.” Men. Not people. And thus, women had to "foment a rebellion" to gain the right to vote, though it certainly didn't happen in Abigail's lifetime. We women had to wait until the passage of the 19th Amendment to the Constitution to gain the right to vote for those who represent us, a write bestowed on men back in 1776. For those of you who were lucky enough to have an abundant crop of zucchini this year, you’re probably swimming in it by now and wondering what else you can make with it. Before you start sneaking out in the middle of the night to depositing veggies in your neighbors’ mailboxes, try this bread recipe. Make as many loaves as your freezer will hold. In mixing bowl beat eggs until light yellow and frothy. Mix in oil, sugars, and vanilla. Add dry ingredients, mixing until incorporated. Mix in zucchini and bananas. Fold in blueberries. Divide mixture into two greased 8”x4” loaf pans. Bake in preheated 325 degree oven approximately 50 minutes. Bread is done baking when toothpick inserted in center comes out clean. Cool on wire rack before removing and serving. Omit the blueberries and substitute chopped nuts (walnuts, almonds, or pistachios), dried fruit (cherries, cranberries or apricots), chocolate chips, or any combination of these ingredients.